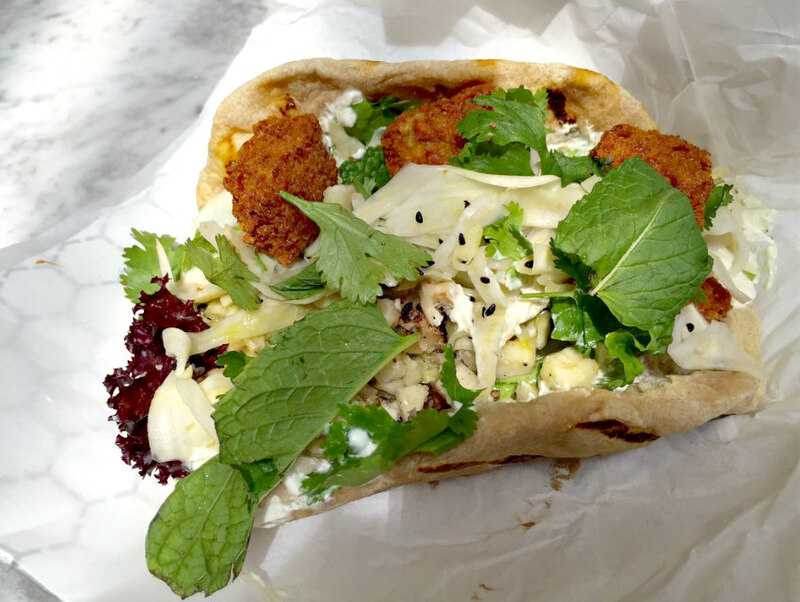 Falafel is a dish best served collaboratively—that’s a thing people say, right?—and over the next three weeks Madcapra is going to prove it. In their guest chef series Friends of Falafel (queue the awesome anthropomorphic falafel illustration), the Grand Central Market restaurant is letting their chef friends toy around using beans and greens as their canvas. This past Saturday, Jessica Koslow from Sqirl was in the house making a falafel sandwich with pistachio, kohlrabi raita, yuzu, fenugreek, and a Yemeni hot sauce called zhoug. On December 12, Jon Shook and Vinny Dotolo from Animal and jon & Vinny’s (and the soon-to-be-countless other hit restaurants) will be frying up some chickpea balls, and Leslie Discher and Courntey McBroom, the duo behind Large Marge, are stopping by the week after. The menu for each collaboration won’t be posted until, as Madcapra puts it on Instagram, “juuuust before” the day of. They will start serving at 10 a.m. Saturday morning, and supplies are limited. Next articleAsk Chris: Is It True That Quentin Tarantino Is Providing Custom Projectors to Theaters so They Can Screen His Next Movie?